Running is just running right. You put your shoes on and you hit the road. Depending on how you feel you go fast you go slow you just run. Nope…. 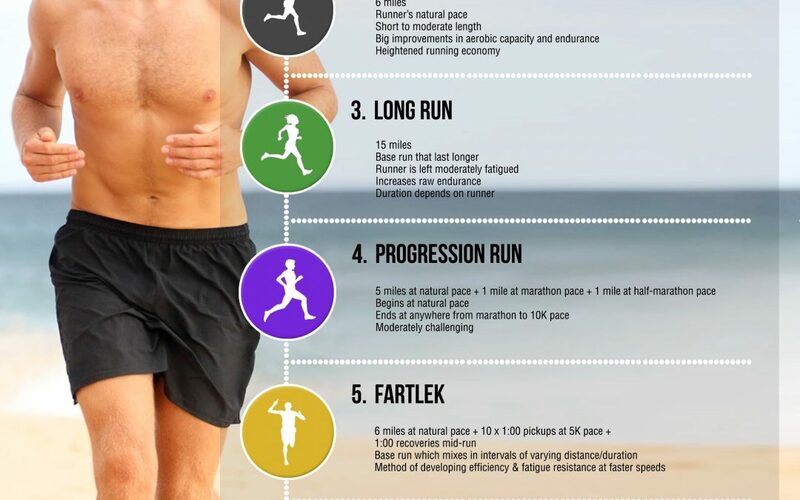 There are 7 Types of runs…. Base Run: Short run at a normal pace not too long or too short. Fartlek: Base run which mixes intervals and varying distance/duration. Hill Repeats: Repeat short segments of hard uphill running. Increases your aerobic power.